We haven’t been caching for over three months, except for a short puzzle cache early in March. No particular reason; we haven’t been ill; we haven’t “gone off” caching; we haven’t been overly busy (or have we? Perhaps we have a bit! ), but life just seems have taken us in a different direction for a while. As usual, early March saw us returning to our beloved Island (Isle of Wight for those who don’t know us well) and catching up with the wonderful friends we have over there. Cockrobbinn has been busy with his singing and took part in a concert in April entitled Shakespeare 400, full of Shakespearean songs, sonnets and madrigals. 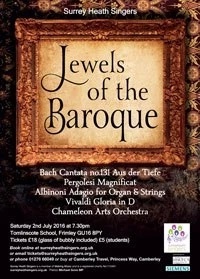 He is currently practising for a new concert – Jewels of the Baroque – so he flits between the Island and home more than I do leaving me to enjoy some “me” time with my friends over there! This suits us perfectly and I never expected retirement to be such fun. 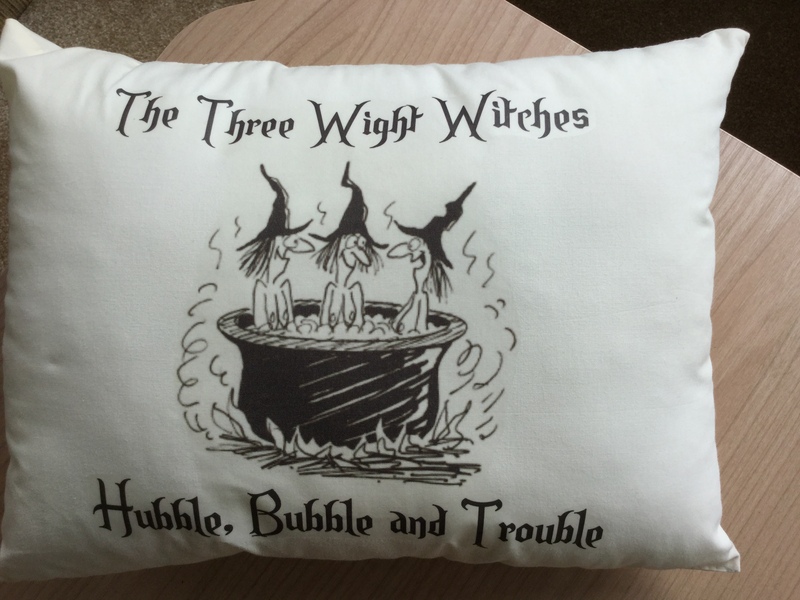 Two friends and I have become known as the Witches (probably because of our cackling on the beach) and one of us – definitely no names mentioned here – has even been known to cast spells to cause mayhem to certain people who annoy her by dumping grass cuttings in the wrong place! Unbelievably, their electricity went off just after. 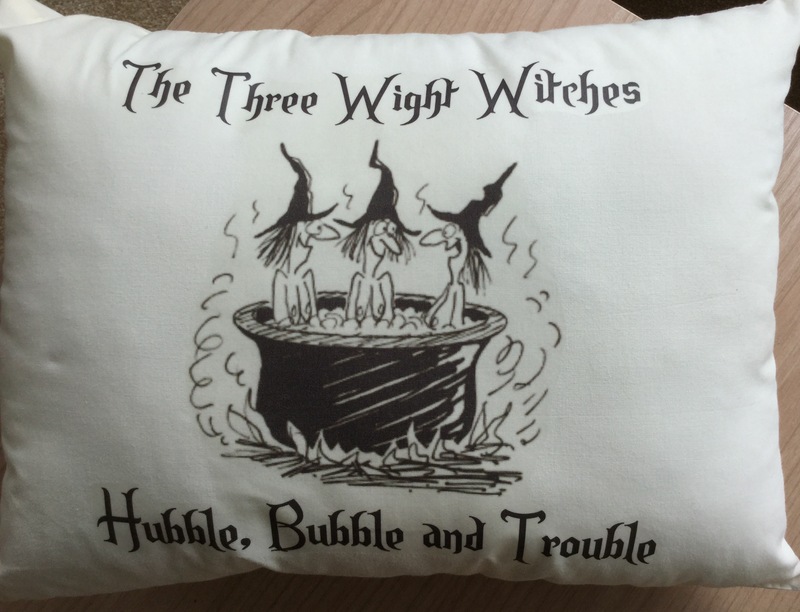 Needless-to-say our names are Hubble, Bubble and Trouble. I know who Trouble is, but I keep forgetting if I’m Hubble or Bubble – must be an age thing. But back to Geocaching. Our granddaughter came to stay with us over half-term week. I never know if she is more excited to come, or we are to have her. HoneyRobbinn loves the beach as much as I do and is more than happy to spend hours down there regardless of the weather. 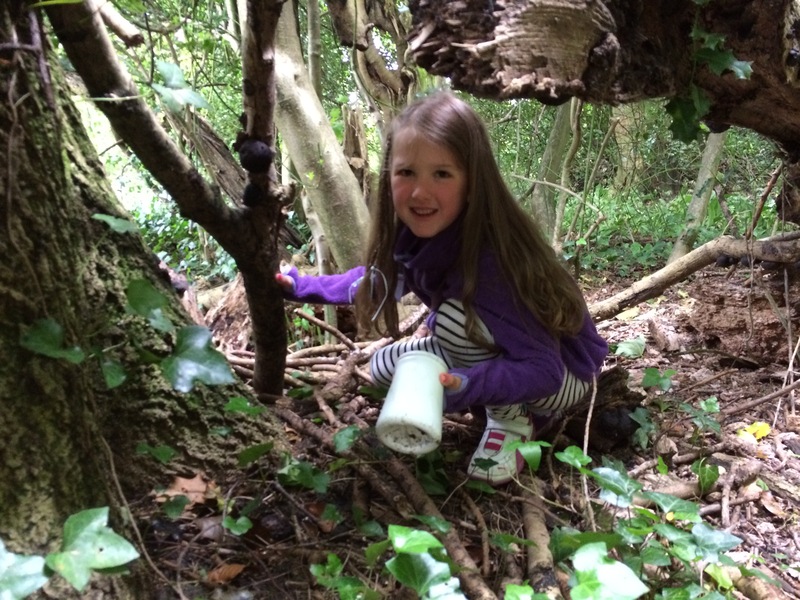 After a glorious few days we woke up to a dreary overcast morning so we suggested finding a cache which was only a short distance away in Seaview – a small Edwardian resort on the north-eastern corner of the Island overlooking the Solent. ‘Gemini – give us a wave’ was located a little way back from the coastline so we decided we could drive there, pick up the cache then go out for lunch somewhere nice. Now, Cockrobbinn is the first person to admit he is hopeless (understatement) at map reading; but he is also completely useless at following the blue dot (us) on the geocaching app and directing us to the green dot (ground zero). I use my iPhone for caching and on reaching Seaview and within the vicinity of the cache, I showed Cockrobbinn where I wanted to go on the app with the instructions to just let me know when to turn off etc. Firstly he lost the screen so I had to stop and find it for him; then he moved the screen and couldn’t see the blue dot (us) and then he failed miserably in seeing which roads I needed to drive down. Eventually, I wedged my phone in front of the steering wheel, wore my reading glasses to see it, and drove peering over the top of them. Oh do hurry and grow up a little more HoneyRobbinn then you can take over the navigation. At long last, with quite a few three-point turns and reversals, we arrived at ground zero and guess what – the heavens opened quite literally. We were only a few metres from the cache but it was throwing down stair-rods and we would have been drenched within a few seconds of getting out of the car. Plus, we weren’t 100% sure where the cache was hidden. 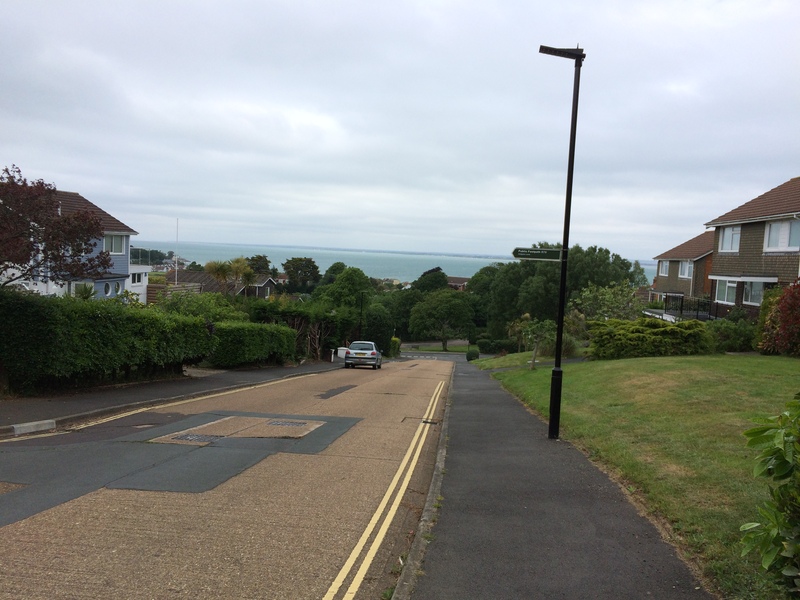 Perhaps I should mention that “Gemini” was the name of a private house in a very quiet road with the most amazing views of the Solent (we only knew that from the description as we could barely see three metres in front of us because of the rain!). We gave up, drove to a pub and had a delicious lunch and then returned home where Cockrobbinn and HoneyRobbinn spent the afternoon watching a couple of DVDs (CR was more than pleased as they both had happy endings – well, one was Jack and the Beanstalk and I can’t remember the other – and Cockrobbinn loves a happy ending!). I spent the afternoon cooking – probably my most favourite hobby of all. For anyone interested, I write another blog Robbinn’s Recipes which is my online collection of some of my most favourite healthy, gluten-free recipes. Determined not to be completely beaten, we returned the following day to “Gemini” and after a few minutes searching found the hidden cache. We all waved to the house but I don’t think they saw us or maybe they weren’t in. It definitely was a good view of the Solent as we could actually see it this time. 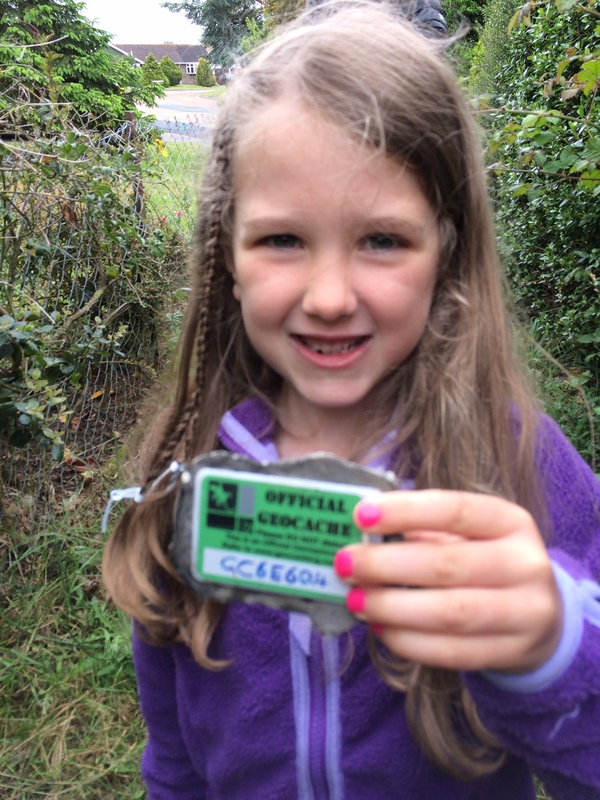 On a roll, we decided to see whether we could find Barking Mad, another cache in Seaview which we had been unable to spot early on in our geocaching careers. It was a lovely walk. We parked in Bluett Avenue and walked up Pond Lane which took us up a little footpath with fields on one side and woods on the other. We knew roughly where the cache was hidden; in the woods by an enormous fallen tree. I remember we had searched all around before, every nook and cranny or so we thought but guess what! HoneyRobbinn went straight to a pile of stickoflage and retrieved the clip top box within a minute or two of us arriving there. As a reward, she was delighted to take a little green teddy from the box which we swapped for some goodies. A really great find and another smilie on the map. Interestingly, there are not that many caches on the Isle of Wight compared with the mainland. We have hidden one which appears to be popular as it has received quite a few favourite points. I think we must now think about hiding some more. These finds took place on 2nd June 2016. This entry was posted in Caching, Geocaching, Hobby, Isle of Wight, Seaview and tagged Caching, Geocaching, Hobby, iPhone, Isle of Wight, Seaview, Smilies, Solent. Bookmark the permalink.